November 17, 2015 Geren W. Mortensen, Jr.
A few days ago, I told you about a new product from Topaz Labs called Texture Effects. I've had a few days to play with it, and not only it is a ton of fun, but it can produce some really nice results. I thought I might share a few images that I've done with it. In each case, you're seeing "after" and "before" images. The workflow for each of these was pretty much the same: create a good "normal" image in Lightroom CC 2015, and then open a "copy with Lightroom settings" in Texture Effects. From there, I generally started from a preset that had the general mood I though would go well with the image, and then customized from there. I should mention that most of the time when I start from a preset in any application, that's just the starting point. In some cases, by the time I'm done, most of the preset settings have been altered significantly. Texture Effects is one of the most fun plug-ins I've gotten recently. Even better, Topaz are still running special pricing for a few more days! The retail price for Texture Effects is only $69.99, but you can purchase for only $49.99 ($20 off) until November 20th by clicking this link and using the coupon code: TEXTUREFX. 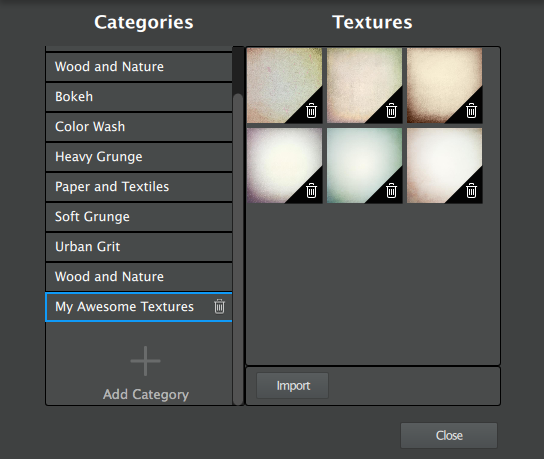 Topaz Labs Release New Texture Effects! And a Limited Time Offer! November 10, 2015 Geren W. Mortensen, Jr.
Texture Effects allows users to create a variety of textured, toned, and lighting effects in a fraction of the time it takes in other editing software. The program includes a library of over 150 expertly crafted effects, an extensive collection of texture assets (275+ high-resolution assets! 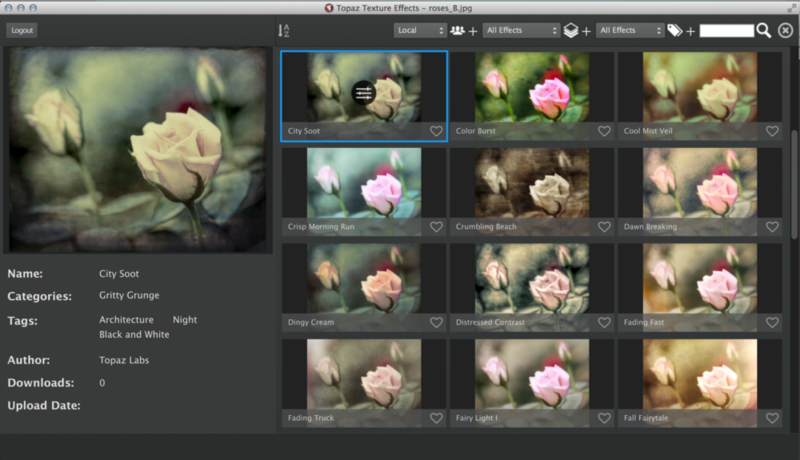 ), and instant access to effects other Topaz users have shared with the new Topaz Community. That means no more scouring the web for a look that inspires you. With Texture Effects, inspiration is only a click away! 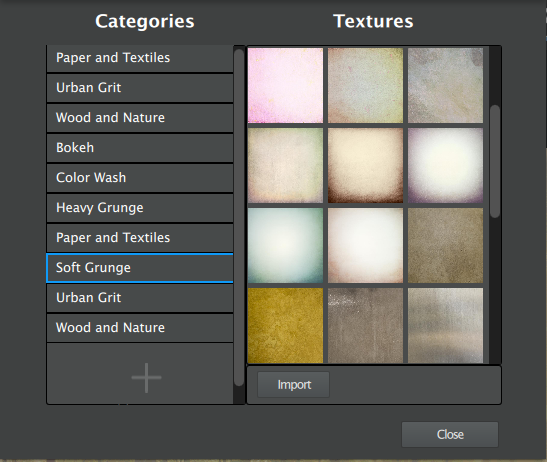 And now, the best part: Topaz Texture Effects will be on sale from November 10th through November 20th. The retail price for Texture Effects is only $69.99. However you can purchase for only $49.99 ($20 off) until November 20th by using this coupon code: TEXTUREFX. Buy or find out more about Topaz Texture Effects by clicking here, or on the image below. October 15, 2015 Geren W. Mortensen, Jr. The good folks at Macphun have updated their complete pro "creative kit" to include 6 apps -- Intensify, Tonality, Snapheal, FX Photo Studio, Focus, and Noiseless -- as well as a great set of tutorial videos by Serge Ramelli. The whole shootin' works (no pun intended) costs just under $180. In my opinion, if all you got was Intensify, Tonality, and Noiseless, it would be worth it! Heck, you PC users might even want to consider getting a Mac to run this stuff! 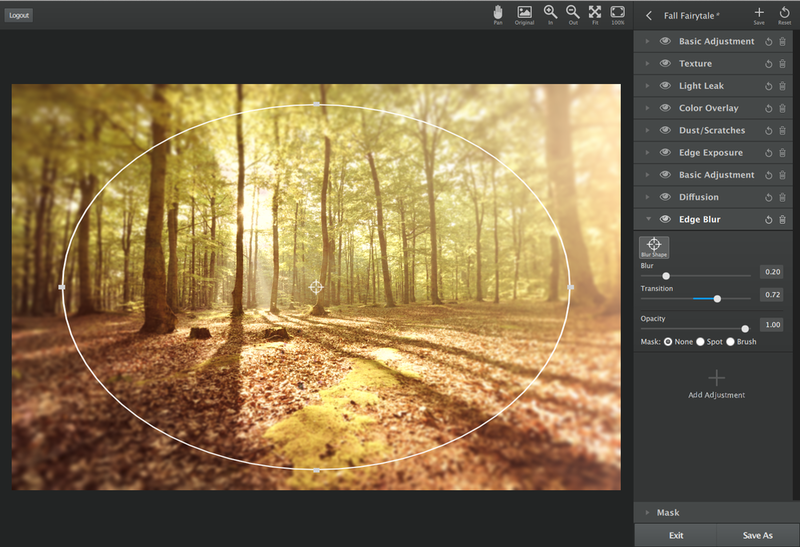 The applications can run stand-alone, as plug-ins to Photoshop, Lightroom, and even Aperture. They can also run as extensions to Photos, if you're running MacOS-X El Capitan. I've been using some of these apps for quite some time, and I'm especially impressed with Tonality and Intensify for B&W and color work, respectively. Noiseless does a fantastic job of cleaning up some pretty noisy images, too. To find out more about the apps and the deal, or to download the free demo, click the "Learn More" button above.